This class discribes the services we need to implement Delta and Undo/Redo services. AttributeDeltas are applied in an unpredictable order. But by the redefinition of the method IsNowApplicable, a condition can be verified before application. If the AttributeDelta is not yet applicable, it is put at the end of the AttributeDelta list, to be treated later. If a dead lock if found on the list, the AttributeDeltas are forced to be applied in an unpredictable order. 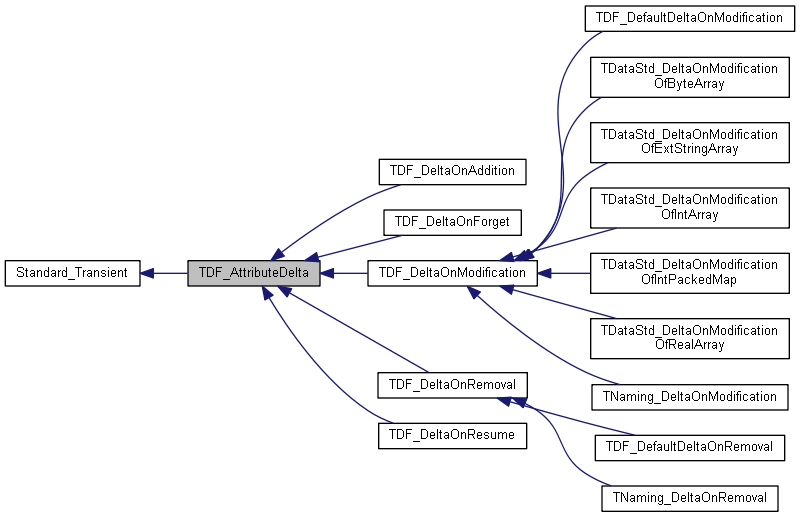 Implemented in TNaming_DeltaOnModification, TDF_DeltaOnAddition, TDF_DeltaOnForget, TDF_DeltaOnResume, TDataStd_DeltaOnModificationOfByteArray, TDataStd_DeltaOnModificationOfExtStringArray, TDataStd_DeltaOnModificationOfRealArray, TDataStd_DeltaOnModificationOfIntArray, TDF_DefaultDeltaOnModification, TDataStd_DeltaOnModificationOfIntPackedMap, TNaming_DeltaOnRemoval, TDF_DefaultDeltaOnRemoval, and TDF_DeltaOnModification. Returns the ID of the attribute concerned by <me>. Returns the label concerned by <me>.